Size : 8.8 x 10.3 mm (a small coin). Weight : 1.08 grams. Grade : VF for one of these. These are always crude, but this one is a reasonable example of the type. Obverse : Human head in right, with an X behind. Reverse : A small cross with NEF (the NE are ligate) above (short for Nemafidius). 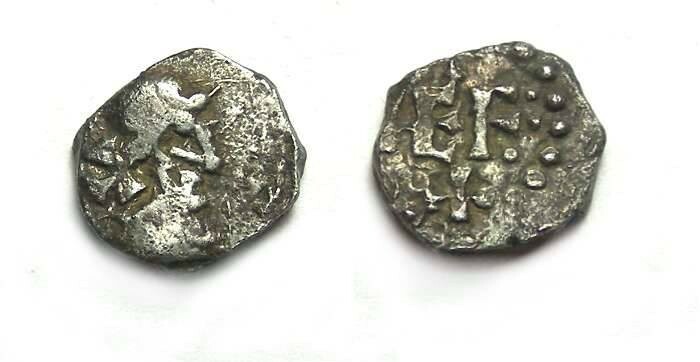 These are very small, crude coins, but the are pretty much the cheapest of the Merovingian coinage.